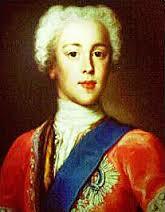 On the 25 July 1745 Prince Charles Edward Stuart, a.k.a. Bonnie Prince Charlie, the grandson of James II and Mary of Modena arrived in Scotland. By September Edinburgh was his and by November he’d arrived in Carlisle. On the 22nd he set off South stopping at Kendal on the 23rd before marching via Lancaster and Preston to Derby. The country was in turmoil but the Jacobites hadn’t received the support they’d expected so on the 5th of December they turned north once more leaving the House of Hanover to unpack their crown jewels and heave a huge sigh of relief. The Jacobites arrived back in Kendal. Bonnie Prince Charlie settled down for the night in a house belonging to a local JP on Strickland Gate little knowing that the following night the Duke of Cumberland would rest his weary head in exactly the same bed (lets hope there was a change of bed-linen!). Prince Charlie may have been exhausted from his journey, including an assignation attempt at Preston, but his slumbers will hardly have been restful since the folk of Kendal didn’t give him a warm welcome. The local militia greeted his arrival with a volley of shots and in the ensuring skirmish it is said that a Jacobite and a local farmer were shot. At least that’s what the Kendal Civic Society plaque proclaims. Enter an angel…there used to be an inn in Kendal called The Angel. Apparently the inhabitants of the inn didn’t much like the sound of the approaching Jacobite army so hid themselves out of sight – such was their hurry that they neglected to hide their child – Findler’s Legends of Lakeland makes no reference to the age or gender of the aforementioned child- it simply states that the child was left playing in the parlour while the rest of the family skiddaldled. Apparently the Scots arrived and were about to grab hold of the child when an angel turned up, did what angels do in those circumstances, and drove the startled rabble from the house. Okay, so its not history but I do like the way legends evolve from events. Perhaps it was one of the highlanders who’d had a nasty shock to his sensibilities who lost his purse as he fled Kendal the following morning. It can now be seen in Kendal’s Museum as can assorted coinage left lying around by Romans, Vikings, Tudors and Eighteenth Century types hoping to hide their savings from the soldiery – of either army. This entry was posted in Eighteenth Century, Legends and tagged Bonnie Prince Charlie, Charles Edward Stuart, Jacobites, James II, Kendal, Kendal Museum, Prince Charles Edward Stuart, The Angel Inn Kendal by JuliaH. Bookmark the permalink.